The Planning and Zoning Commission conduct a meeting on Highfield Farm’s special permit application. DARIEN — Highfield Farm should remain open space. That was the opinion of nearly all residents who spoke at a Planning and Zoning special meeting on Tuesday, regarding proposed uses for the 16-acre property purchased by the town in March 2017. 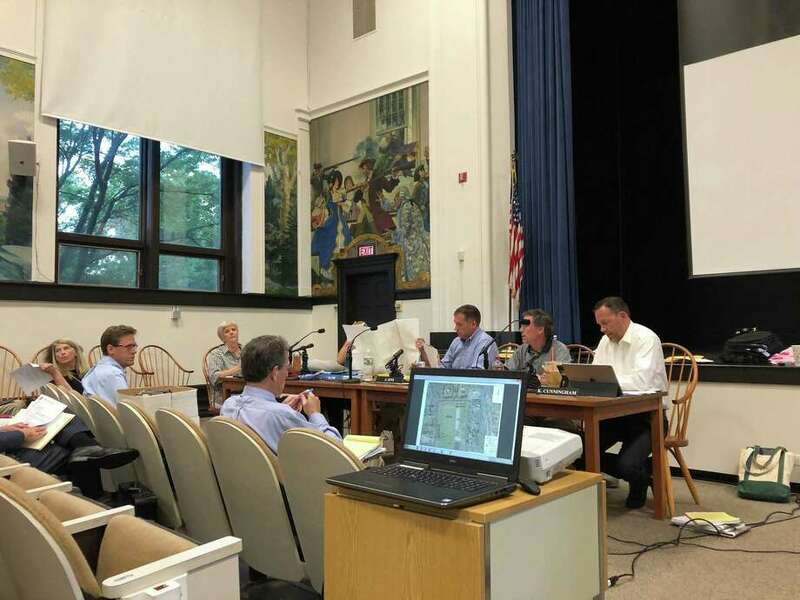 The proposed uses — approved by the Board of Selectmen in January — include year-round passive recreational use, as well as 10 town-sponsored and five nonprofit-sponsored events per year, according to First Selectman Jayme Stevenson. Also included are 92 parking spaces distributed into two separate areas, a 240-square-foot equipment shed, gravel for a portable bathroom and a half-mile stone-chip walking path around the perimeter of the property. Another resident, Judy Holding, said 92 parking spots were too many for the property. Planning and Zoning Commission Chairman John Sini was quick to clarify the commission’s role in the town’s application for the property. “We are strictly limited to whether the proposed uses for Highfield Farm are expressly permitted under regulations and whether the standards set satisfy statutes and regulations,” Sini said. Despite Sini saying the commission would not “entertain discussion” on the best use of Highfield Farm, there was four hours of back-and-forth between commissioners, 30 audience members, and those who made public comment. Sini said the meeting ended at 11:30 p.m., and public comment period on the proposal is now closed.